We are all a mixed bag with shadows and light. We want to be light-bringers, but if we are really honest, we don’t always do it that well. Especially when things are not going well. Expectations from others (or from ourselves) put pressure on us to perform. We want things to go well on our watch. We want things to succeed, the graphs to go up and to the right. We want to see progress, growth and success. This desire to do well has its shadow. It may come from a belief that everything we touch should succeed. We want that “Midas touch.” Nothing should fail if we have our hand on it! But this drive can stem from insecurity. 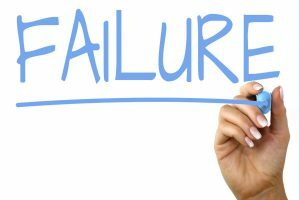 Instead of viewing things as “it failed,” we begin to personalize it to “I failed.” When several things fail, we personalize it further to “I am a failure.” This is so painful we will do almost anything to avoid it. And now we are really in the shadows, casting shadows to all around us. It was Henry Cloud’s book Necessary Endings that turned on a light in this dark place for me. He pointed out that endings are a normal part of life. In fact, endings are necessary for new life. Some things need to fail so they can come to an end. Keeping something going longer than it’s intended to can prevent new life from emerging. In fact, if we want new life we should let the uncertainty and chaos happen, and encourage new patterns and solutions to rise. The best leaders learn from what’s not working and this encourages innovation and creativity, even at the risk of failure. At the core of the universe is life; death is not final! Resurrection is the message of hope for Christian leaders! Let’s let the light shine … even in failure … especially in failure!